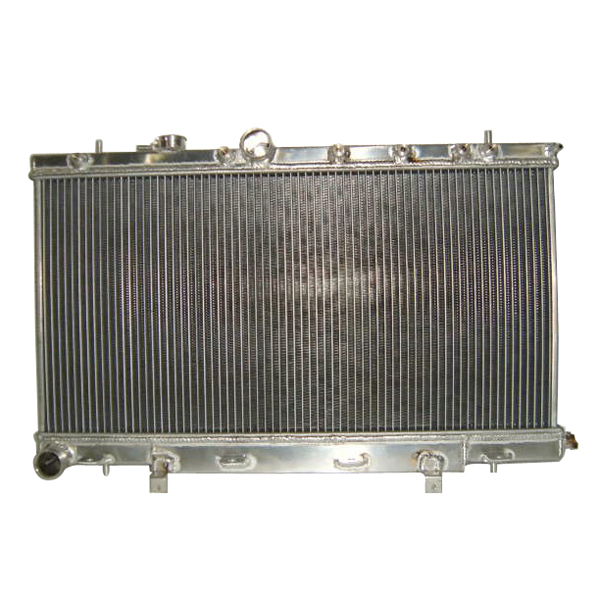 Our racing radiator is designed to provide maximum cooling efficiency to prevent premature engine failure. It's light-weight, and high-heat transferring aluminum features a tube and fin design, dramatically increases surface area that enables the heat to dissipate more efficiently. Our racing radiator is at least 25%-30% more efficient than stock ones, which means that your cooling system will be more efficient and will be more resistant to temperature surges in racing applications.